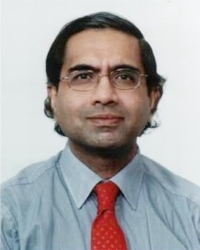 Doctor Gupta received his medical degree from the University of Southampton, UK. He then completed his internship at the University of Toronto, Ontario, and a dermatology residency and clinical research fellowship at the University of Michigan, Ann Arbor, following which he received his PhD from the University of Göteborg, Sweden. He is Professor of Dermatology at the University of Toronto School of Medicine. He has organized and conducts an active clinical trial units in London, Ontario and is the director of a basic research laboratory. His clinical research has focused on superficial fungal infections (onychomycosis, tinea pedis, tinea capitis), psoriasis, atopic dermatitis, acne, actinic keratosis, and skin cancer. Doctor Gupta has over 663 publications, is on 15 journal editorial boards, and reviews for over 25 journals.